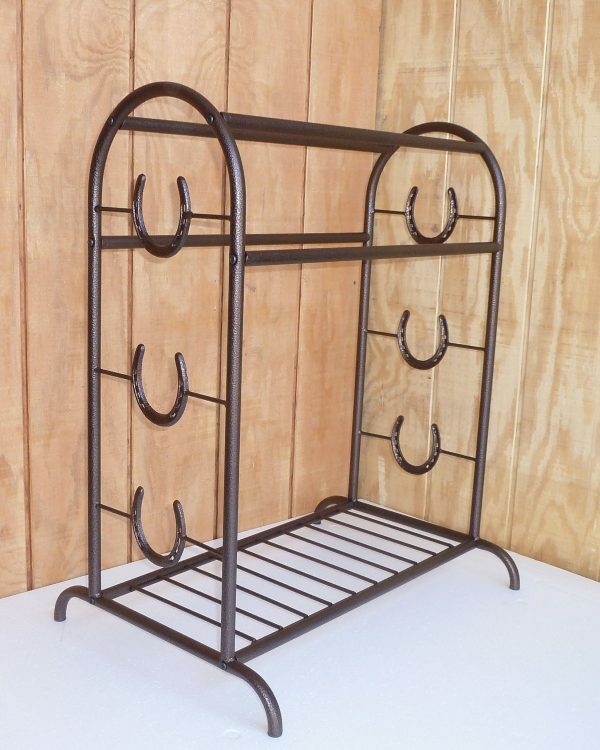 # 5008 TROPHY SADDLE RACK - COPPER VEIN - Buildings and Barns, Inc.
Trophy Saddle Stand with decorative design. Twisted wire tray. Copper Vein powder coat. 33″H x 27″L x 12″W. Weighs 12 lbs.